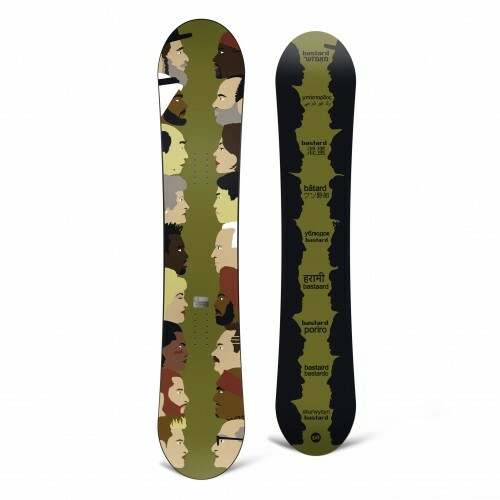 This serie is drawn by Winston Tseng, that is known to the masses for his former art director job at Enjoi Skateboards and his last artworks for Birdhouse. Winston is a graphic artist based in New York City. Born and raised in Redondo Beach, California, skateboarding consumed his life then and completely shaped his artistic style now. His work has been described as simple, clean, bold, and depending on the project, even “humorous and slightly twisted” (Concrete Magazine Issue #106 May 2010). 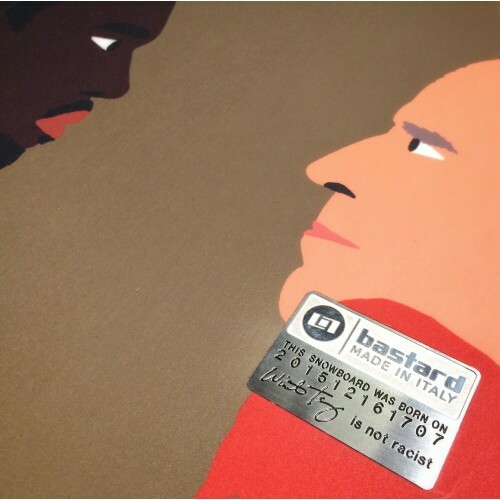 The 156 is the longest in the Racist Bastards serie, others measure 148 and 152.